Resolve to Get Healthier and Do the 30 Day Challenge! Want to experience less pain? Do you want to have more energy and be able to handle stress better? Want to have improved sleep and digestion? Would you like to feel healthier in general? Take the 30 day nutrition challenge with me and jump into spring feeling better with less pain, less fatigue, a decrease in headaches, improved sleep and mood, better digestion, less sinus congestion, and the added bonus of a smaller waistline. Some will even notice chronic conditions may reverse or get significantly better, such as high blood pressure, diabetes, high cholesterol, allergies, acne and other skin issues, acid reflux, depression and more. I know that it sounds too good to be true, but I guarantee if you take this 30 day journey with me you will notice a positive change somewhere in your body. Just what exactly is this challenge? To put it simply: eat real food for 30 days. 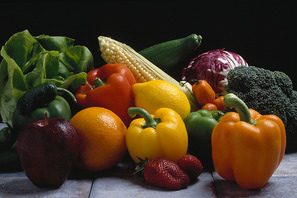 What to eat: meat, seafood, lots of vegetables, some fruits, good fats from fruits, oils and nuts and seeds. What not to eat: cut out all sugars, real or artificial, grains (breads, pasta, rice, etc) alcohol, legumes, dairy and most processed foods. I am inviting you to take this journey with me starting on Monday, March 11th. I had plans to do this on my own and then decided why not invite others to join me and then we can all support and encourage one another. We will be following The Whole30 Program. Check out their website for more great tips and ideas. I have also set up a Facebook Group called the “30 Day Nutrition Challenge” and will be posting various tips on what to buy, eat, meal ideas, meal planning, nutrition facts and more. To take this journey to improved health, please email me at maryjean@greenlotusacupuncture.com and I will add you to the Facebook group. If you don’t have Facebook or wish not to use Facebook, no problem, I will email you the tips instead. In the next two weeks, I will start posting information about ways to prepare for the 30 day challenge. The sooner you sign-up, the sooner you will start to receive helpful tips. Here’s to feeling better and healthy eating!